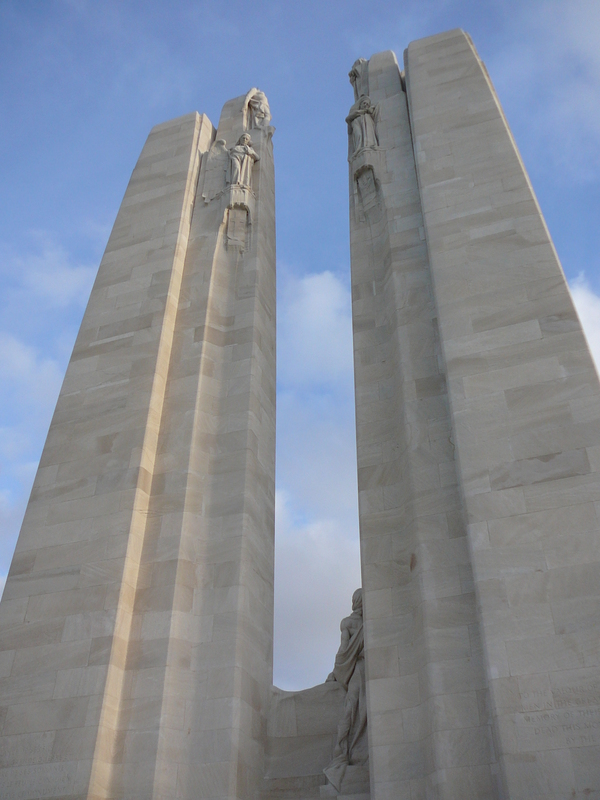 The Vimy Ridge Memorial to the missing Canadian war dead of the First World War in France. Photograph by Lauren Markewicz, December 2011. Many Canadian schoolchildren memorize Lieutenant-Colonel John McCrae’s poem “In Flanders Fields”. Most ceremonies on this day include a recitation. I had a go of reciting it from memory in honour of this year’s Remembrance Day, and I believe I only replaced “sleep” with “rest”. I also seem to reflexively say “amidst” instead of “amid”. I am certain that “amidst” remains a word, despite what spell check tells me. Regardless of my vocabulary choices, this poem remains a really evocative part of the collective memory of Canadians. Hundreds of thousands of Canadian men and women served in the armed forces and medical divisions during the Great War. “To amputate, or not to amputate? That is the question. American Civil War era poem, quoted in Ira M. Rucktow, Bleeding Blue and Gray: Civil War surgery and the evolution of American medicine (New York: Random House, Inc., 2005), 219. While perusing my old notes on Civil War medicine for a current research project, I ran across this parody of Hamlet’s great soliloquy. It really does summarize some of the agonizing (if you’ll forgive the terrible pun) choices faced by wounded soldiers during the American Civil War. The thing is, I feel that people, if they know one thing about Civil War medicine, it’s that it was “barbaric”. The word “butchery” comes up a lot. Piles of severed limbs, men with grimy hands wearing blood soaked aprons and wielding butcher knives. And yes, there was some of that. But there was so much more. If there are only five doctors and a handful of pre-professionalization nurses (often convalescing soldiers who aren’t quite up to snuff for regular duties but can probably hold a tray or wrap a bandage) to help you after a big battle and there are about five hundred wounded men pouring in and they all have to be treated right now… yes, you are going to have to be quick and fast at your job. Which will involve amputation. A lot of people, by which I mean “the public” (AKA non-academics), members of the modern medical profession and even historians (I’m looking at you, military historians who just want to make a statement about the horrors of war!) still propagate exaggerations and misinformation about the state of Civil War surgery, acting outraged that the surgeons of the era couldn’t predict innovations such as germ theory (which wouldn’t happen for another decade or so), that there were a lot of unnecessary amputations, and so on. Honestly, if you’re going to be presentist like that… Just think, how perfect is medicine today, in 2013? In a hundred years, won’t people look back on our era and, shocked, exclaim, “What do you mean they cut people open during surgery? That’s barbaric! Why didn’t they use [laser whatsits]? What do you mean, some people drank ten cups of coffee a day? Didn’t they know about the horrific effects of [X, Y, Z]?” It’s all relative, but we have a particular need to be harsh judges of medical practices in the past, perhaps because the medical profession is viewed as a sort of straight, steady line of progress, instead of the wobbly vaguely upward line I feel it really was – in fits and starts, with some backtracking, and continually changing. 1) The types of ammunition being used during the Civil War were not like those of today, which move so quickly that they cauterize the wound as they go in. Minié balls and musket balls ripped through flesh and often brought bits of dirty clothing into the wound, causing it to fester. These heavy slugs were also more likely to shatter bone, which, almost invariably, grew infected. 2) Ambulance systems were still in their infancy, and so it wasn’t unusual for men to be lying on the field for over a day, sometimes up to a week, dying but not dead, before they were “rescued” and brought to a doctor. How much could a surgeon do at that point? 4) Theoretically, a more delicate operation like resection (removing a section of damaged bone) could save that man’s limb. But if you have another hundred men lying around you screaming in pain waiting for their operation, do you really have time for a longer, protracted procedure? The cost of that man’s semi-functioning limb would be the lives of several of his comrades. So, all in all, if you are shot, say, in the upper arm, you will likely have a shattered bone with bits of whatever was on the exterior of your coat and shirt pulled in with the projectile. You are unlikely to get timely medical care because of the nature of battle, the ambulance system, and the overworked nature of the surgeons… leaving aside the roll of the dice as to whether you get a competent surgeon in the first few years – the examinations were much more stringent later in the war, but there were fewer surgeons around, too. “Laudable pus” is expected as a natural part of the healing process; your limb is going to get infected, likely badly. Amputation is, in all honesty, the best option for your survival. Life or limb. You choose. Johnson, Steven. The Ghost Map: the story of London’s most terrifying epidemic – and how it changed science, cities, and the modern world. New York: Riverhead Books, 2006. Schmidt, James R. Civil War Medicine (And Writing): A Blog on Civil War-Era Medicine and My Own Research and Writing (AKA Shameless Self-Promotion). Rucktow, Ira M. Bleeding Blue and Gray: Civil War surgery and the evolution of American medicine. New York: Random House, Inc., 2005. Wilder, Burt G. Practicing Medicine in a Black Regiment: The Civil War Diary of Burt. G. Wilder, 55th Massachusetts. Edited and introduced by Richard M. Reid. Amherst and Boston: University of Massachusetts Press, 2010.